Back of the Cereal Box: Who Names Their Daughter Pistol? 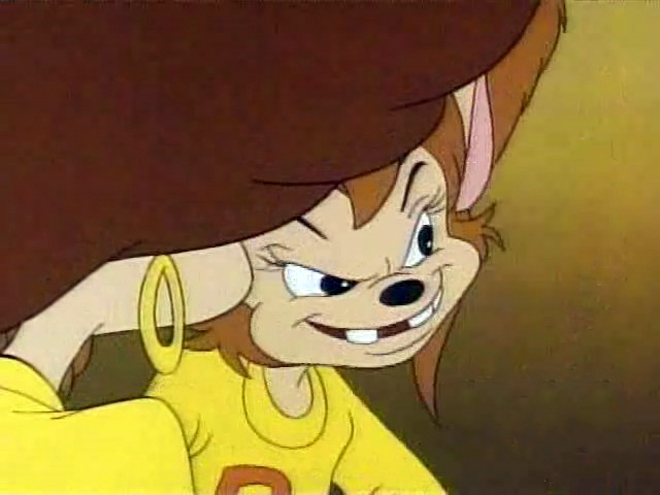 Hey, remember Goof Troop? Remember how Goofy lived next to Pete, the old-timey Disney bad guy? Remember how Pete had a wife and daughter who kind of receded into the background behind whatever Goofy and Pete were doing with their sons? Remember how the daughter’s name was Pistol? Wasn’t it weird that that was her name? So why was her name Pistol? Well, back in the day, when Pete was playing this villain or that villain, he took on different names. When he was a pirate, he went by Peg Leg Pete, hence Pete’s wife normal-seeming name, Peg. When he was a bandit, his name was Pistol Pete, and Pistol’s name is a callback to that. And that, my friends, is why a minor Disney cartoon character was named after a firearm. Me too. For, like, 20 years. And his son's name is PJ, which stands for Pete Junior. I believe that makes Pete the George Forman of the Disney universe, except perhaps to a greater extreme because he might have specifically married Peg because they share a common name? Well, I'm sure there's some fanfic that goes into Peg's life before she married to Pete. But... maybe? I actually have no idea what her full name is supposed to be. Actually, Pete Jr was a brat before Goof Troop, and PJ back then met Donald.